This photo was taken in the Pyrenees between France and Spain - up and down winding mountain roads so just goes to show how easy the pod is to tow! Happy to say we had no teething problems on our first big trip and love the freedom we get with the Go-Pod. We would check the weather each day & decide where to go next. Loving the pod life ! Well you can't beat this for both pure genius & determination! Thought I'd send you a couple of pics showing how I managed to fit it my Go-Pod in the garage. Stored nice and dry since early October and not due to be let out until April. A set of 8 inch wheels was the answer and with the aid of a hydraulic troley jack and an air powered wheel wrench I can have them changed in about 15 minutes. I'm going to try to get in the habit of putting it away each time as it's pretty easy to just roll in and I can keep it out of the weather. In fact I find myself in the garage polishing it from time to time! 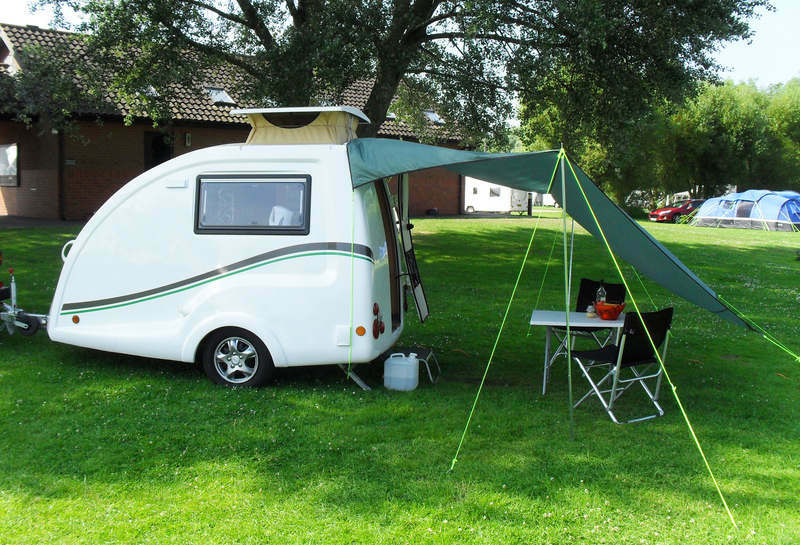 Although cleverly compact, Go-Pods are enjoyed by plenty of tallers Podders! With the pop-top providing standing room of over 6ft and the generous bed which measures 6ft 2in at it's longest point, the Go-Pod is larger inside than you might think. And with a growing number, (no pun intended), of customers, some up to 6ft 4in it's certainly worth a closer look. 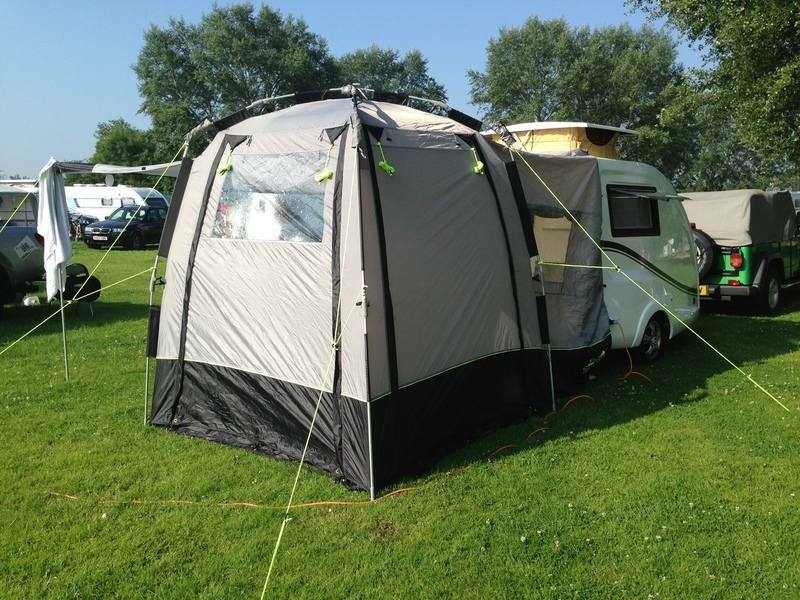 For more height related reviews type or paste Go-Pod 6ft2 in to YouTube! It’s important to secure your jockey wheel properly while using your Go-Pod and here are a few tips on how to overcome some common issues. On this example shown, the bracket has been clamped up too low down on the jockey wheel. It should be clamped around the larger diameter top part. However, it is also possible to tighten the jockey wheel clamp on the larger diameter tube but still have it looking crooked like this. The arrow labelled '1' in the photo below shows where the clamp should be ideally. To correct any issues like this, we suggest supporting the front end of the Go-Pods hitch using something that is substantial enough to take its weight. A axle stand, block of wood or bricks maybe. Take suitable care with this and ensure the handbrake is applied. With the support in place wind the jockey wheel up, so that the whole weight of the Go-Pod now rests on the support you prepared, thus raising the jockey wheel up in to the air. If the smaller diameter tube is over extended, continue winding until most of it is inside of the larger diameter outer tubing. Once the jockey wheel is off the ground you can release the clamp lock, (number 4 on the photo), taking care not to drop it on to your toes! You can then ensure the larger diameter tube is correctly positioned in the clamp. TIP! Wiggle the jockey wheel as you re-tighten the clamp lock, to ensure it is straight & properly seated in the clamp. Clamping it up wonky is a common issue as is failing to tighten the clamp suffeciently - as they can begin to work loose unless if they're not properly tightened. With the jockey wheel adjusted and the clamp tight, wind the handle, (3), again so that the wheel touches the floor and jacks your Go-Pod up, off of the support. You can now remove the support. A jockey wheel that is clamped crooked, will often jump straight suddenly, (as you move around inside), and will result in the clamp becoming loose. This can cause the front of the Go-Pod to drop without warning and although alarming, this is not normally detrimental. If this does happen, just re-set your jockey wheel is the way described above. Jockey wheels are seldom faulty and the majority of issues are user related. If in doubt, please contact the After Sales Department on 01704 889973. Chassis Plate Update - 2018 models only. Red Lion Caravans Ltd have released a chassis plate update. The plate reflects the higher 1000Kg MTPLM that was introduced for 2018 models. If you own a 2018 model and would like to receive an updated chassis plate, please contact Nicci Taylor on [email protected] with your chassis number and full postal address. Only applicable to 2018 Go-Pods with chassis plates displaying 750Kg MTPLM - on models purchased pre-September 2018. The amended plate will display the MTPLM as 1000Kg. A new plate is only required if you intend carrying heavy loads that will push the total weight of your Go-Pod & contents to over 750Kg. We recommend Platinum model owners apply. 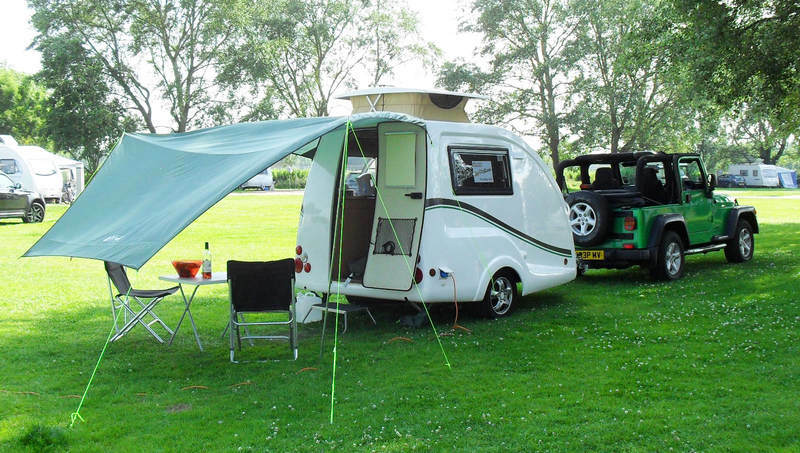 The combined weight for your Go-Pod & contents should not exceed the tow vehicle's braked towing allowance. It is the the towers repsonibility to ensure they conform to towing regulations. This video provides tips and advice for changing the wheel on your Go-Pod. The Standard, PLUS and Platinum models all come with a full spec spare wheel and tyre as part of the package. You will need your own spanner to remove the spare and a suitable jack. In most cases, the jack that comes with your car can be used.